I have created a new obsession! 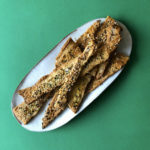 This is new recipe is going to be added to my list of go-to snacks when I have a savory craving and want something QUICK and simple! 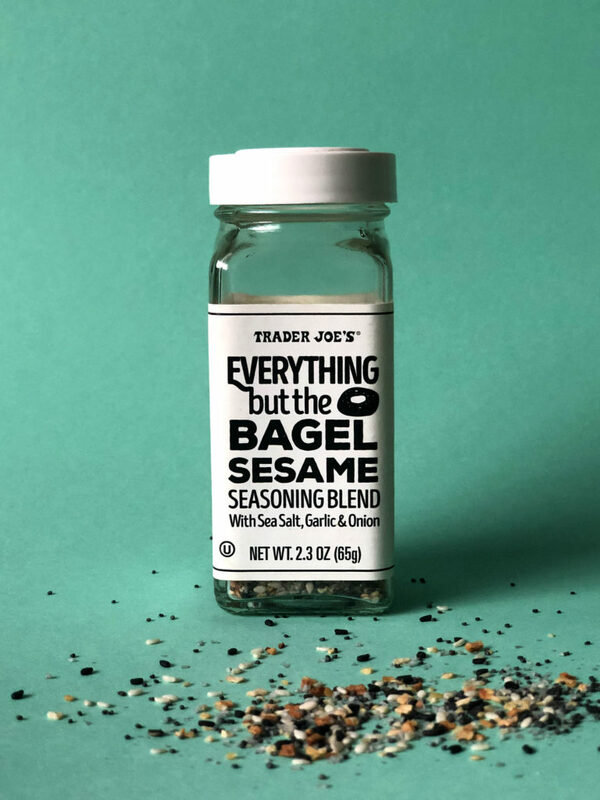 Now everyone and their brother has written about the Trader Joe’s “Everything But the Bagel” spice blend. It’s amazing! Sweet Paul even has a recipe to make your own at home! It really does taste exactly like the topping on an everything bagel. I love to experiment with the blend and add it to everything… I’ve even tried it on ice cream! Not gonna lie… wasn’t my best move ever. It’s really good on buttered popcorn, buttered toast, and sprinkled into stir fry. So… yesterday I had a CRAVING… I had just gotten home from the gym and I wanted a salty snack. It’s been so cold in Brooklyn that we’ve not been keeping our pantry stocked quite like we usually do. I opened the freezer and I saw that I had a 2-pack of Trader Joe’s pie crust with one roll remaining. The use-by date was last week… I’m not one to waste food, so I decided to figure something out. But I didn’t want to wait to defrost, so I needed to get creative. A quick scan of the cupboards and the fridge was leaving me at a loss. I was thinking maybe just baking it and putting strawberry jam on it? That woulda been delish, but I wanted something SALTY. Then it hit me! I grabbed the “Everything But the Bagel” blend… an egg… and cranked the oven to 450F! I decided to break the dough up into “rustic” shards and I left a few of the pieces really long. I sprinkled liberally with the seasoning too. Within 15 minutes I had the most gorgeous snack “crackers” sitting in front of me! 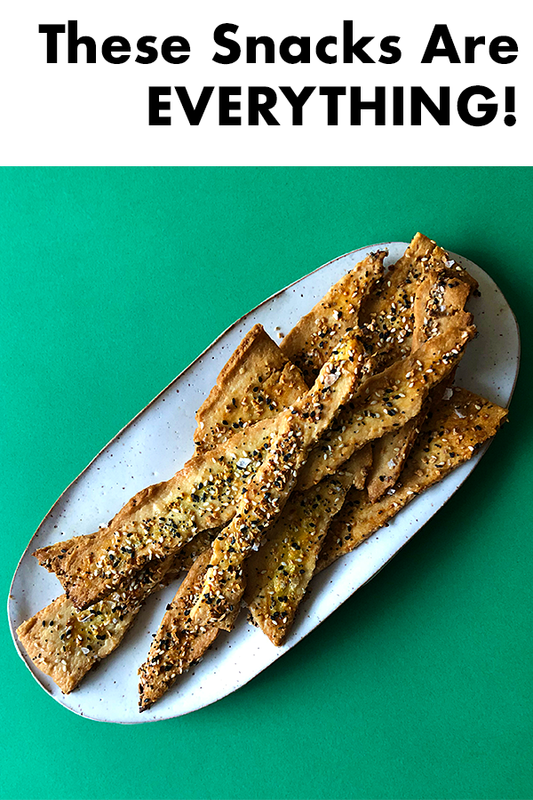 The hardest part of the whole recipe was WAITING a few minutes for the crackers to cook so I wouldn’t burn my fingers or tongue when I grabbed one and scarfed it down! 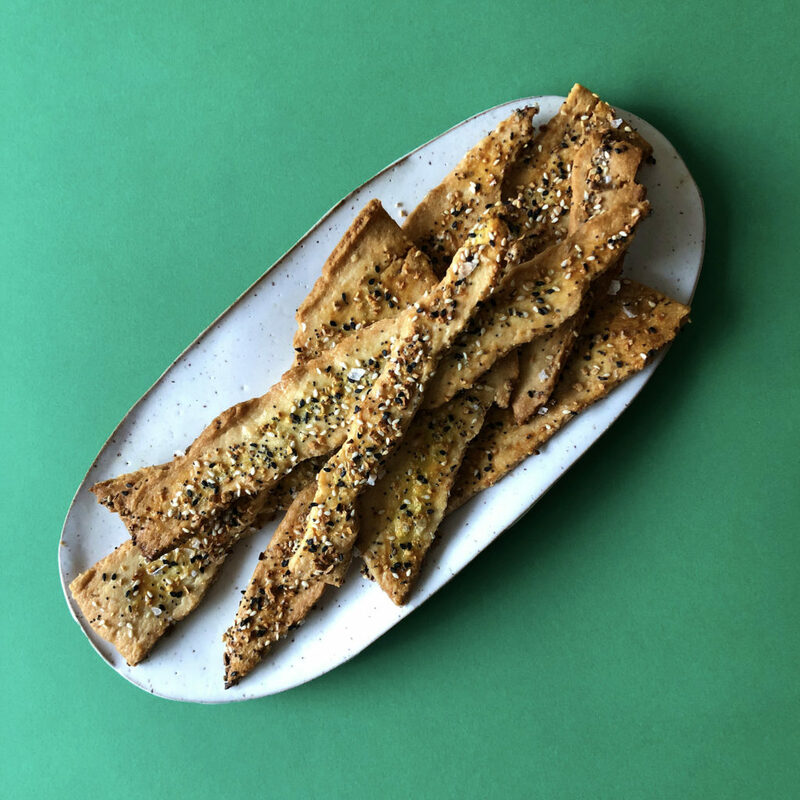 Buttery pastry shards with a spice blend that tastes just like the seasoning on top of “everything bagels”. Ready in a jiffy! From now on when I buy 2-packs of frozen pie crust I always know what I can do with any leftovers! I didn’t have any cream cheese in the house, but I’m SURE it would taste absolutely incredible on these crackers. I would also love to try them with cream cheese and LOX! Next time! Now I’m motivated to run down to Trader Joe’s and stock up on supplies! 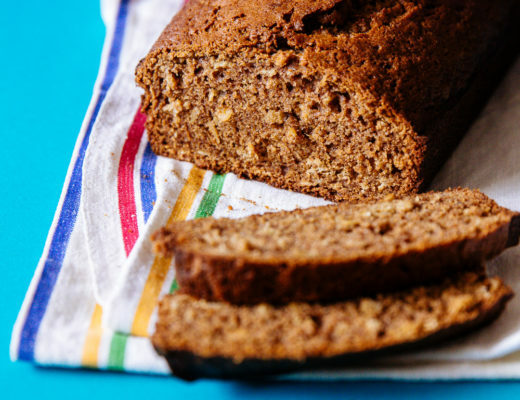 This recipe has just three simple ingredients! 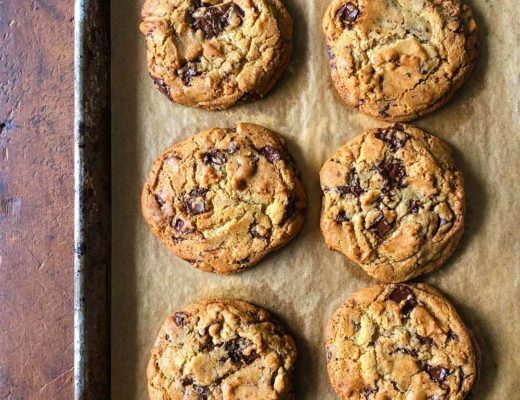 It’s a super quick way to satisfy a snack craving for something warm, buttery, and savory! Line a baking sheet with parchment and preheat oven to 450F. Break up frozen pastry into shards. I left some of them really long because I thought it would look pretty… and it did! Brush each of the pieces of frozen pastry with beaten egg. Sprinkle the tray full of frozen pastry with as much everything bagel seasoning as you like. Bake for 10 minutes, until golden brown. Allow to cool on baking tray and serve warm. 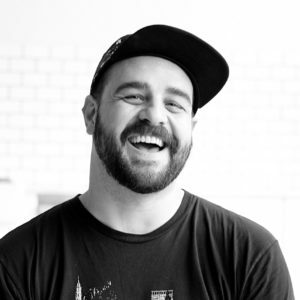 I'm Paul Vitale. I love amazing food and traveling around the world. My husband and I spend a lot of time in the north of Spain. I truly believe that... WE ARE ALL MAGIC!